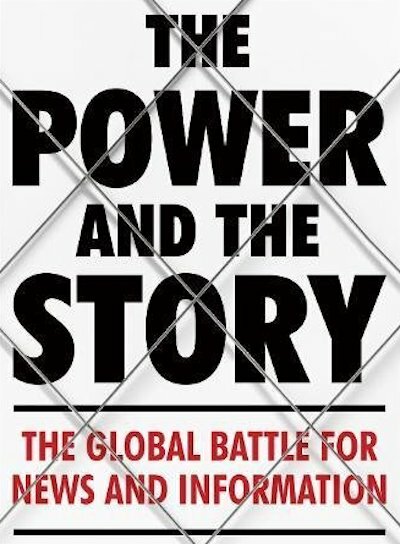 The Power & The Story: The Global Battle For News & Information, by John Lloyd, assesses the news media of Egypt, China, Turkey, Russia, and other countries in which state censorship predominates: "Journalism is controlled and suppressed in authoritarian societies because their rulers believe they have a better grasp of the truth than journalists could ever have. Theirs is not the truth of mere facts. It is an alternative truth of what keeps social peace, promotes development, preserves necessary power and serves faith." The book, a unique worldwide survey of the state of contemporary journalism, also covers "the problems of practising journalism that lives by one form or another of market rules, and the pressures market exerts on the creation of truthful accounts." Lloyd discusses some less reputable aspects of journalism - sensationalist tabloids, and the rise of 'fake news' - though he also stresses the vital importance of "a journalism of revelation through leaking of confidential information" and public service broadcasting. Of course, the shadow of President Trump looms over any discussion of political journalism, and Lloyd shows how Trump has repeatedly attacked America's leading news organisations. He also assesses the increasing influence of online news companies such as Vox, Buzzfeed, and Vice (which made headlines recently with its exclusive report on the neo-Nazis at Charlottesville, Virginia).